Bank Nite Free Family Movie- "Incredibles 2"
❄️❄️WEATHER CANCELLATION!! 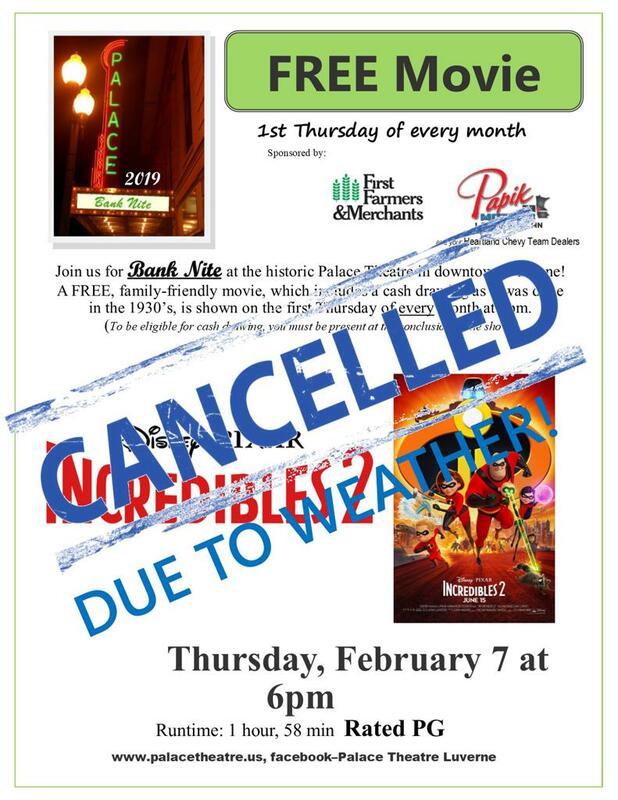 !❄️❄️Due to the blizzard conditions and the extreme cold, the Bank Nite movie scheduled for tonight (Thursday, February 7) has been CANCELLED. Please share!